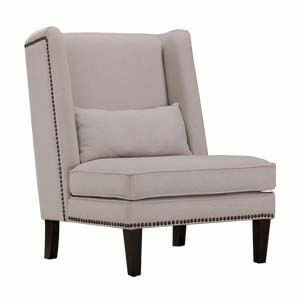 A classy blend of traditional and modern features makes this adorable grey accent chair a must-have for your homes. 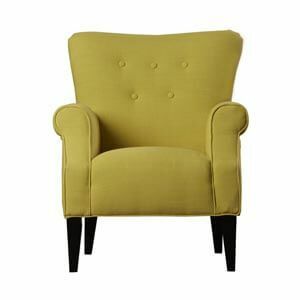 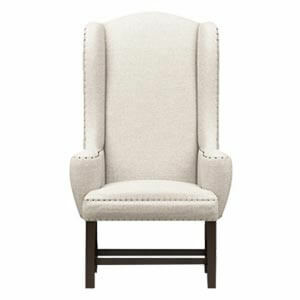 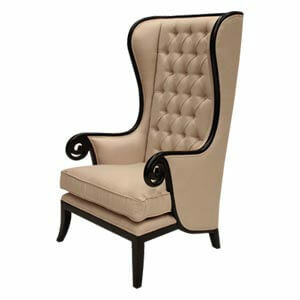 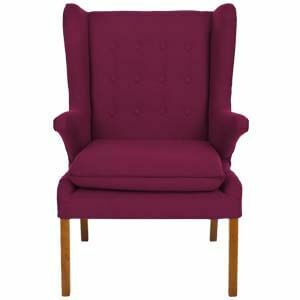 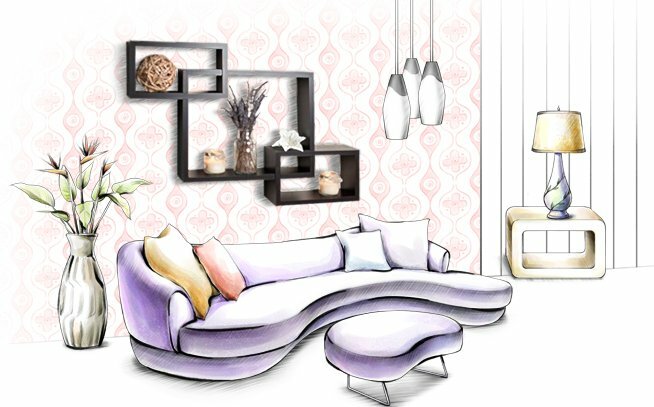 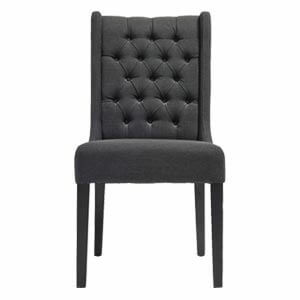 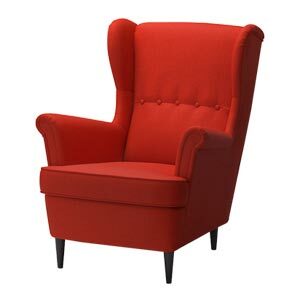 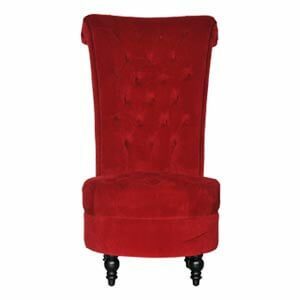 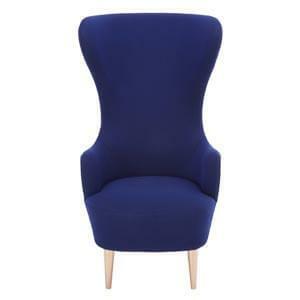 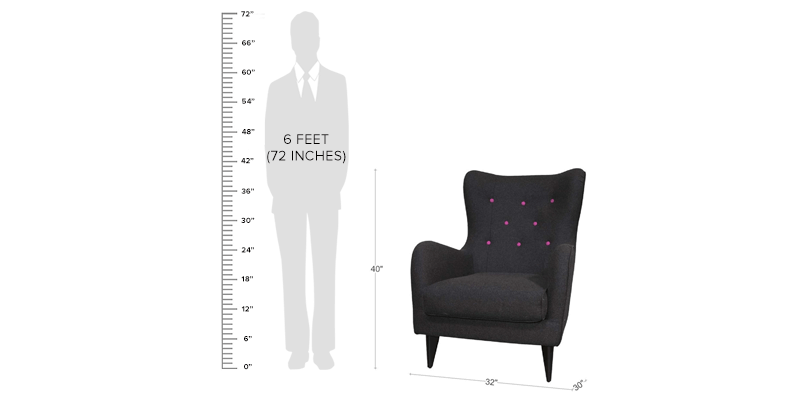 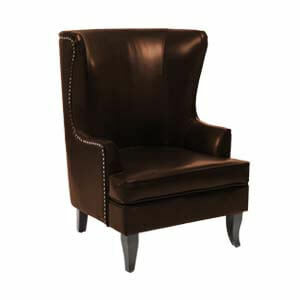 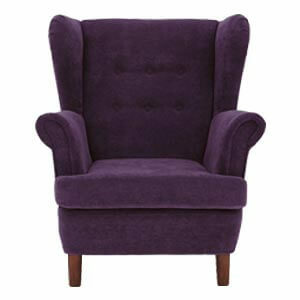 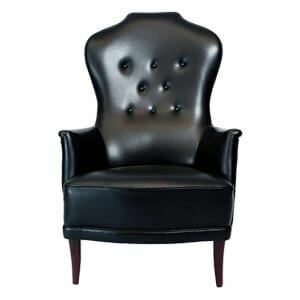 Its classic wingback feature appeals the most while its exposed wooden legs and slim curved arms add the modish charm. 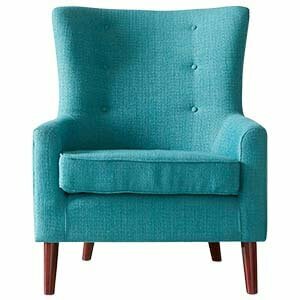 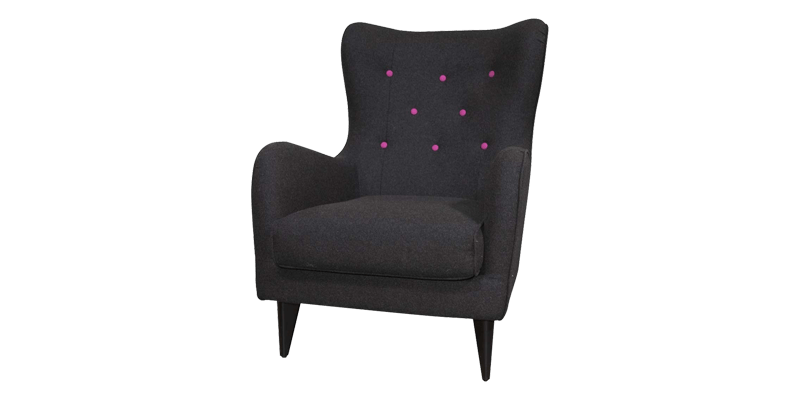 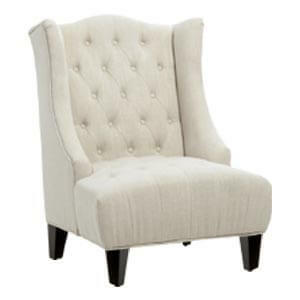 Rounded lines, light shape, contrast button tufting are all highlights of this accent chair that is set to adorn your homes. 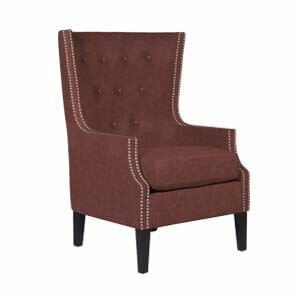 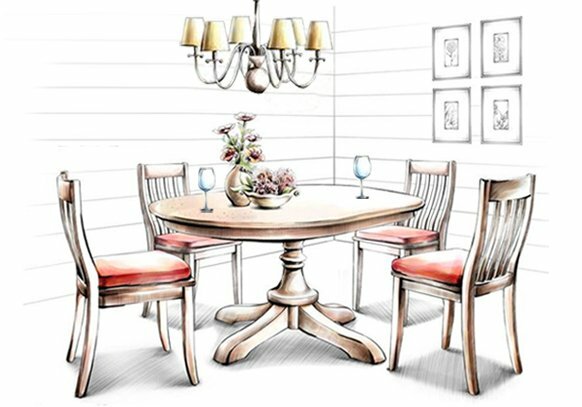 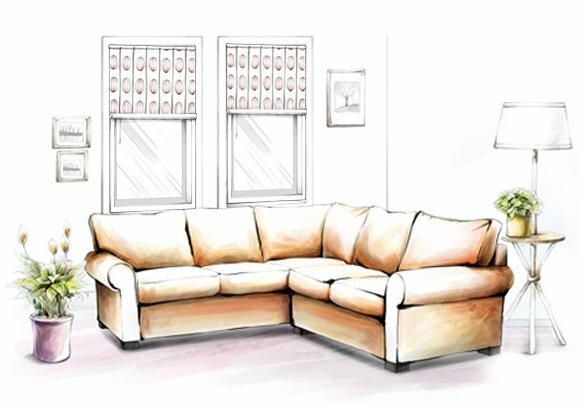 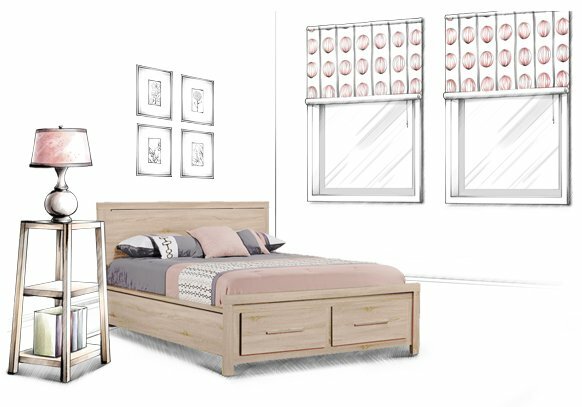 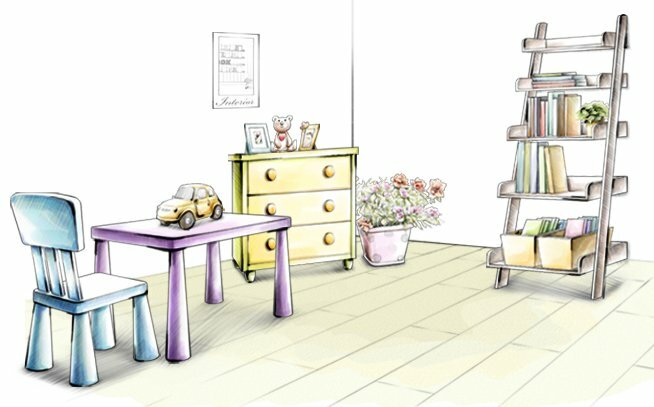 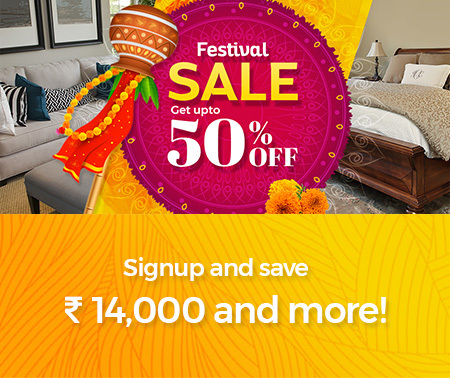 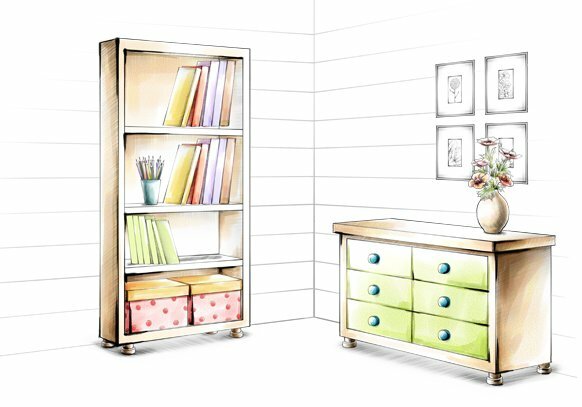 The strong wooden frame is handcrafted and the upholstery is finely hand finished.